Hugh Hewitt listeners might want to listen in tonight at 6 p.m. (PDT) for what looks like something of an unusual hour -- one dedicated entirely to the challenge homeschooling in CA is facing. This all stems from the actions of one whacked California judge (how often have we put those four words together?). The Second Appellate District in Los Angeles County's pivotal ruling, which came down on February 28th, found that a homeschooling family from Southern California did not have a right to “homeschool” under the California Constitution unless the parent is a credentialed tutor. When the Juvenile Court judge would not prohibit the parents from home schooling their children, the court-appointed attorneys for the children went to the California Court of Appeals. The Appellate Court went further than they needed to, and essentially ruled that State law does not provide any options that allow parents to teach their own children at home. 1. Does state law allow parents to homeschool without a state teaching credential? 2. If not, is this law unconstitutional? In the first quote the court makes it clear that it believes that parents may not operate their own private schools. In the second they deny that a parent has a constitutional right to homeschool, and in the third they concur that California law does not accommodate parents pursuing their own education program for their children. As you can see, the decision is categorical and was not written to be limited to just the facts of this case. 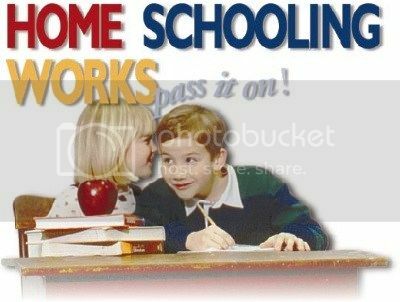 Nothing has changed in California homeschooling ... yet. The case has some court-wending to do yet until anything becomes final. There is something you can do in the interim -- sign the HSLDA's petition. A lot of people are -- the HSLDA is getting enough traffic to justify routing their home page hits directly to their petition page. Every signature will help shine a light on this issue, forcing cockroach judges to scurry under the law library bookshelves again -- where we are safe from them. Two of our three incredible daughters spend some time in homeschooling and are much the better for it. Dedicated parents can be terrific teachers, better than many credentialed teachers struggling with stupid regulations and a perpetual shortage of funds. And homeschool teachers can still teach values. What a concept! And certainly one worth protecting.